Why do you read the works of Leftist thinkers, activists were asked when being arrested. Muhammad Rais defied authorities, including both communists and the Taliban, to ensure that the people of Kabul never ran out of books to read. He was arrested, interrogated and imprisoned by the Communists, watched Taliban soldiers set his books on fire in the streets and had to hide most of his stock in attics all over Kabul. Heartbroken, he told Seierstad: “First the Communists burnt my books, then the Mujahedeen looted and pillaged, finally the Taliban burnt them all over again.” Some would say Gonsalves’s story is a far cry from Muhammad Rais’s, but that the two cases are manifestations of the same phenomenon is undeniable. Sagar also writes that his personal copy of the Bolshevik Revolution Volume I by EH Carr was seized by the authorities, while reminding the reader that these clearly are books which can easily be found on the shelves of a library or even online. He wasn’t arrested for being in possession of that book along with his father. The very idea that someone could be arrested for possessing or reading a book in a democratic republic like our own is unacceptable, but the fact that these questions are being raised and gradually normalised perhaps hints at a method. Vernon Gonsalves was first arrested in 2007 when the UPA government was in power. 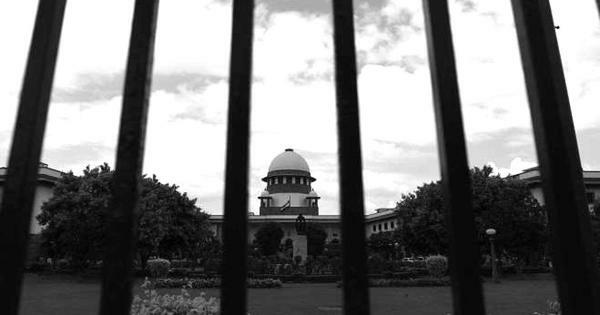 A Nagpur court ruled him guilty of possessing arms and sentenced him to three years in jail under the Arms Act, the Explosives Act, and the Unlawful Activities (Prevention) Act (UAPA) – but he was acquitted of all charges five and a half years later. The question we need to collectively ask is whether we are heading towards a day when the word “arms” will be replaced with “books”. It won’t be unfair to say that if we come across a passage in a novel about India in which we read about armed soldiers torching books, it won’t sound too far-fetched any more. This very premise also instantly reminds us of Ray Bradbury’s seminal Fahrenheit 451, in which we learn about a future when books are outlawed and firemen are assigned with the task to burn them. At the heart of Bradbury’s novel is the thought that knowledge, like ideas in Alan Moore’s universe, is bulletproof. Hence, destroying the source of such knowledge is the only way to ensure that the power doesn’t shift from the hands of a select few to the general people. 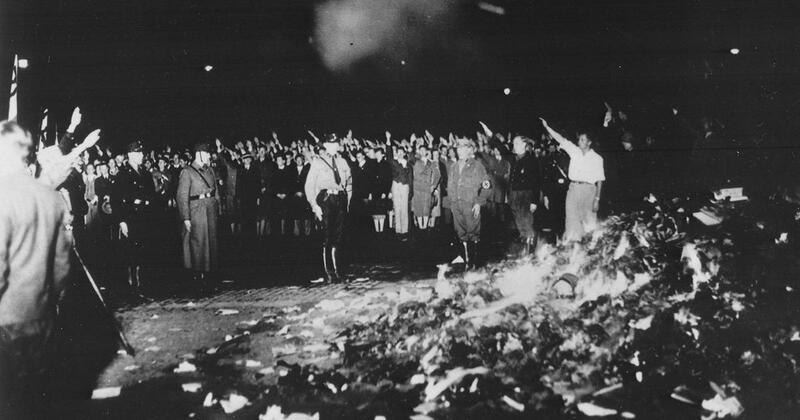 Bradbury’s book, written in the 1950s, had possibly drawn inspiration from the Nazis who systemically burned books they claimed were “un-German”. Apparently book burnings had taken place in thirty-four university towns and cities during the Nazi rule, and works of notable Jewish, liberal, and leftist writers ended up as toast. Reading creates a climate of questioning, which is why autocratic forces have always feared books – and students – so vehemently. Aldous Huxley’s masterful Brave New World, published in 1932, introduced us to a world in which humans are grown inside bottles and then brainwashed to believe certain moral “truths”. No question of reading book for them. In his novel Bradbury warned us about giant screens bombarding us with information which we don’t need, fed to us methodically to make people “feel they’re thinking”. It’s not too different from clickbait headlines and fake news on our mobile phones, constantly cramming our heads with more information than our minds can possibly process. We are left with little option but to read trending headline news, thereby ensuring the unequivocal corrosion of a culture which once believed in informed discourse. This is the post-truth era and we have reached a time when one of the things we need to be most cautious about is the stories we choose to tell ourselves. And we must start by selecting and owning the literature that we want to read, instead of letting others decide it for us. Because the Orwellian idea of a totalitarian regime where individualism and independent thinking are throttled is still a reality, which a democracy must wholeheartedly oppose. It’s been thirty-four years since 1984, and sixty-nine years since the publication of George Orwell’s 1984 in which he predicted such a future. With all the warnings in front of us, we must ensure his world remains within the pages of a novel.